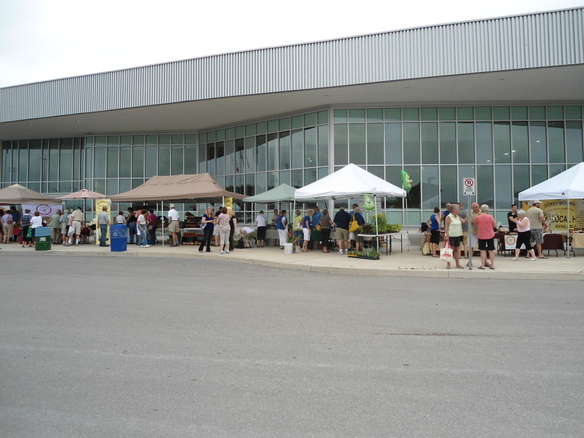 The market is located at the Innisfil Recreation Centre at the South Parking Lot. Entrance from Hwy ll (County Road 4) and Innisfil Beach Road (8th Line of Innisfil) and is open every Thursday from June 6 to October 10, 2019 from 1 – 6 pm. 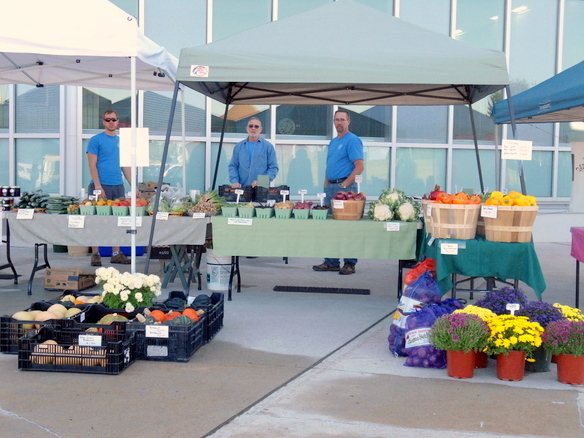 The market will be open inside the Innisfil Recreation Centre from Thursday, October 17 to December 19, 2019 from 1 – 6 pm. 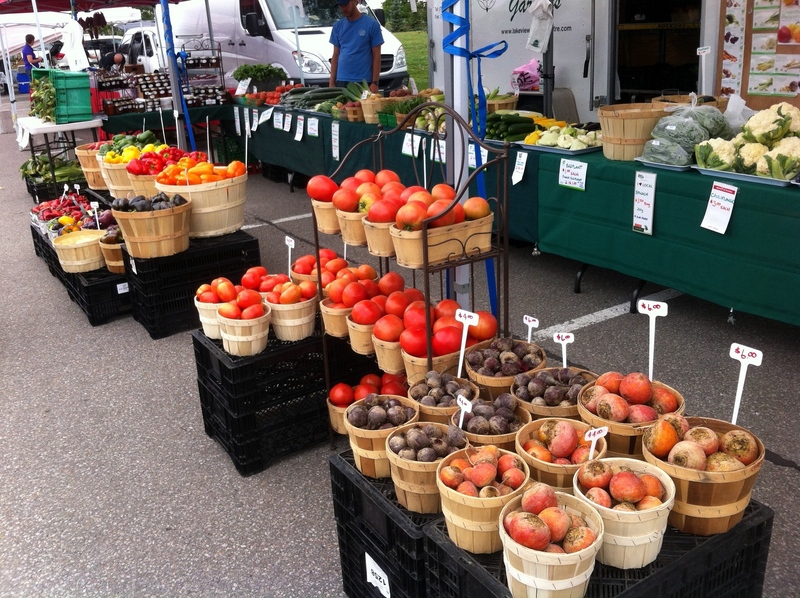 Peppers, tomatoes and onions – everything you could wish for and oh so fresh! 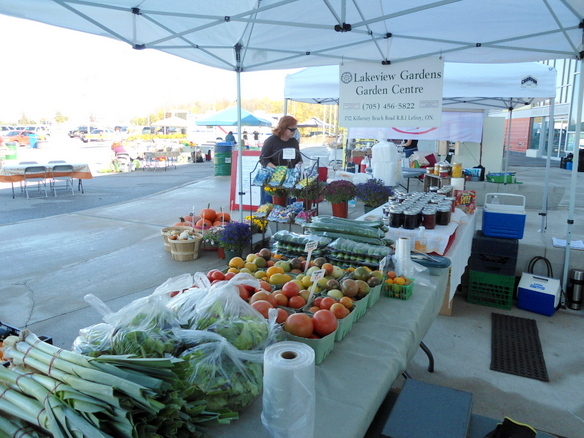 In 2013 we moved to west side of the parking lot – and it looks like we are here to stay. Our customers come in all shapes and sizes. 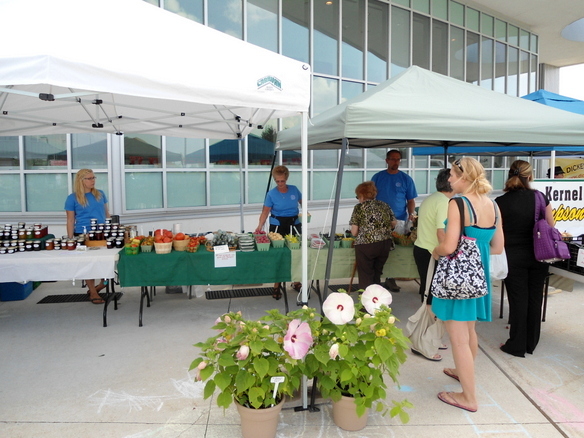 Shopping is brisk on this Thursday in August 2014. 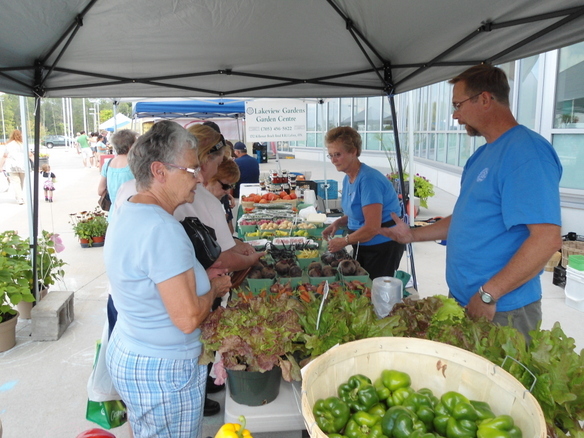 The vegetables at the Market are picked the day of – you can’t get it any fresher than that! 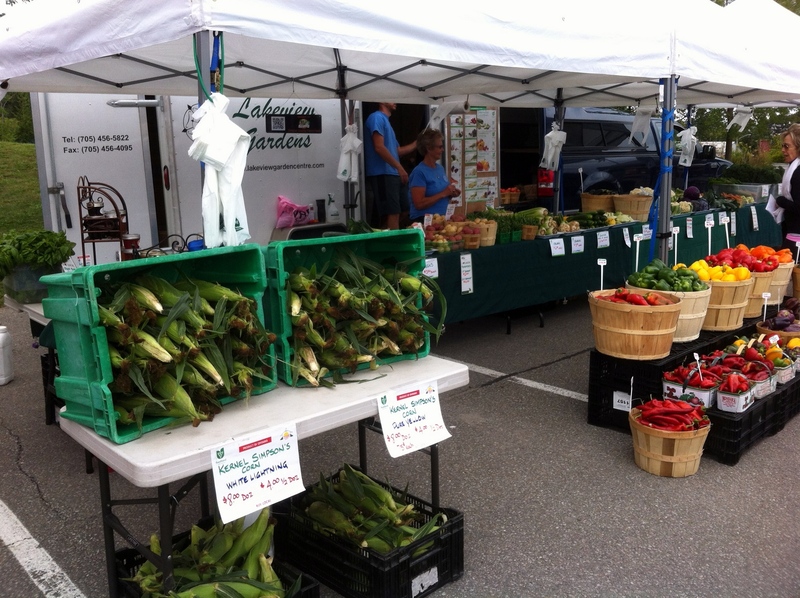 A look down the center of the Market. 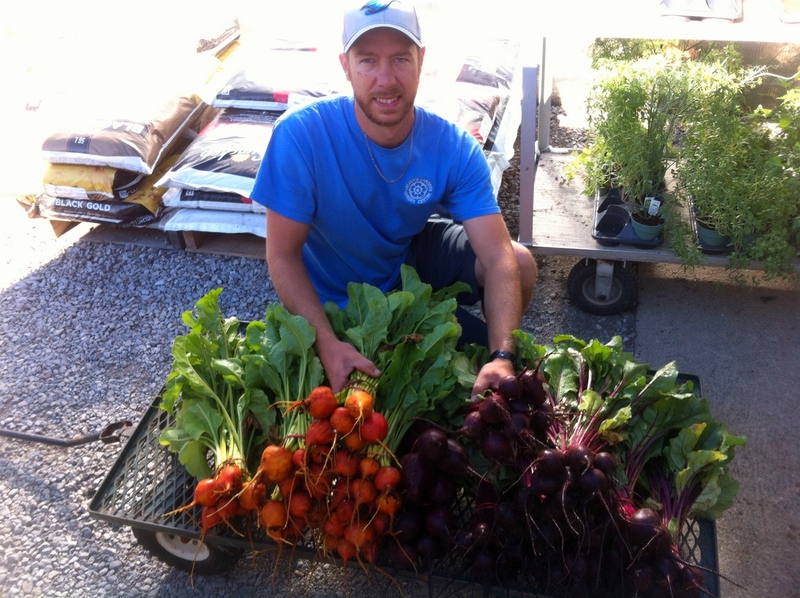 We are now at the end of August and have added some of the later ripening vegetables. and here we have corn and salad bowls added to the mix. This is the 2012 set up with new truck, tents and signage. 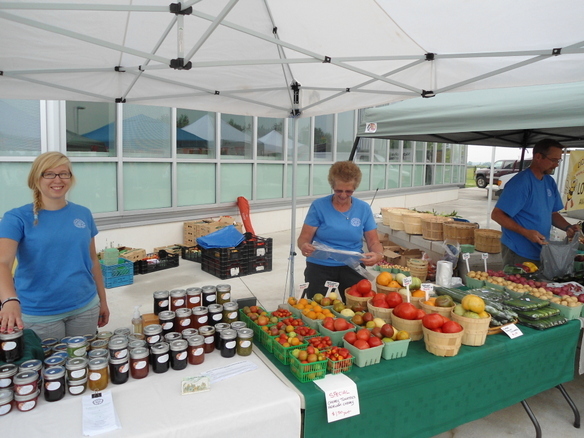 Lots of vegetables, herbs, jams and jellies for sale. 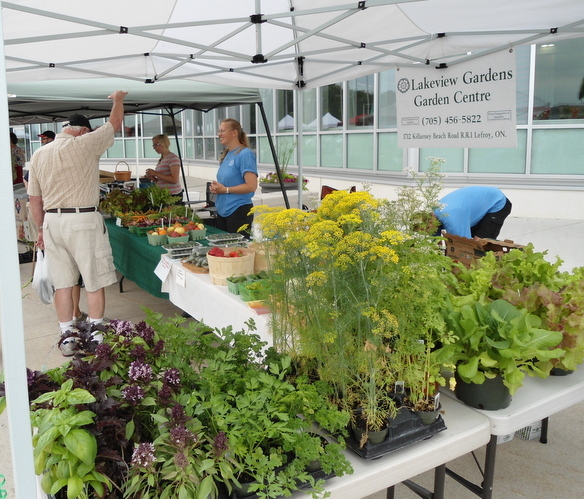 Herbs, salad bowls, dill and everything else – absolutely fresh – can be purchased at the Lakeview Gardens’ booth. Rosemarie at the stand talking to a customer. 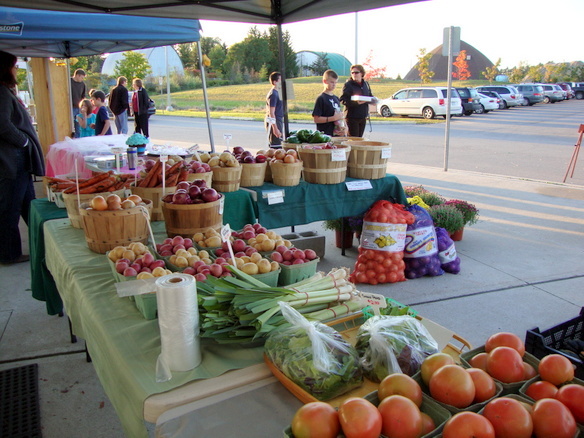 Lots of vegetables for sale. By the way our jams and jellies are infused with our homegrown herbs . Click on any photo for slide show!